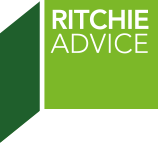 It has been nearly two decades since our first meeting with Ian Ritchie seeking income protection insurance as a newlywed couple starting out with our first mortgage. Twenty years on, Ian along with Erin have been an integral, if not the most important factor in our financial and business growth. Ian and Erin have been there for us during very difficult times, as well as prosperous times, not only providing us financial advice, but support in making the right decisions for our business’s and families future. Whether it was an after hours visit at home during a difficult time, bidding at an auction or just a ‘catch up’ meeting in their offices, Ian and Erin have been involved every step of the way. Ian and Erin’s advice and guidance is extremely professional, yet offers a personal touch. They are caring, diplomatic and can relate to our dreams and goals and desire for financial success. We are privileged to have Ian and Erin as our financial advisers and as friends. Our future for us and our children is looking bright and we would never make a critical financial decision without their support.